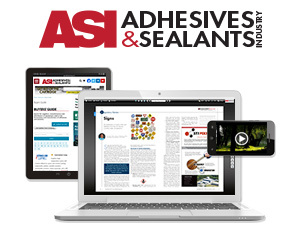 ASI offers useful information targeted toward global manufacturers, formulators and end users of adhesives and sealants, as well as coatings, for applications in automotive, electronics, packaging, construction and more. ASI presents real-world solutions to processing, manufacturing and application problems, and covers key issues such as sustainability, environmental and legislative concerns, and global trade. Extend your reach with BNP Media direct response lists. Follow this link.